Today I'm sharing a couple more flower shots. After all, it is springtime! 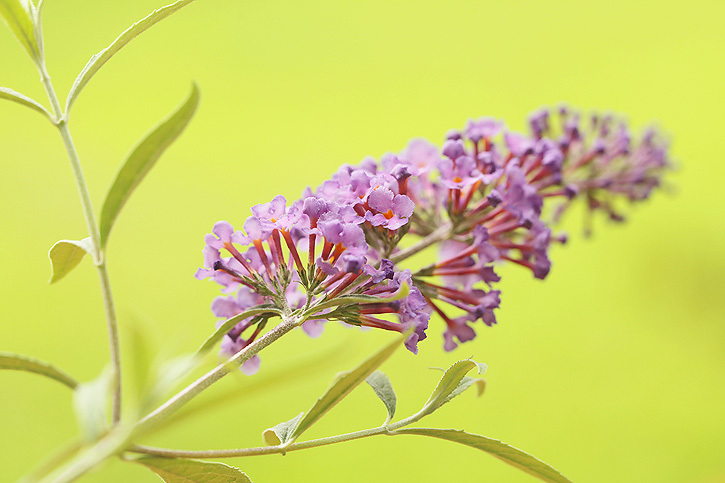 My butterfly bush has just started blooming, but as of yet I haven't seen any butterflies. I'm waiting patiently. Gorgeous! Your colors are so rich and vibrant! I love the background color with the purple flower! That contrast in color is amazing, Deb! I love butterfly bushes! We used to keep tons of them in our garden! Love the green background too!! The flower is pretty enough, but the gorgeous background color really makes it pop! Wonderful. I never knew there was such a thing as a butterfly bush. I love the bright background! Beautiful, especially against that background color. I guess that's surrounding greenery. How pretty Deb! Now that is my favorite color. Can't wait to see some more butterflies. Beautiful shots Deb. I love the simplicity and the colours. I love butterly bushes! My parents have some lining the back porch at their house and everytime we go over there in the summer there are so many butterflies and it's beautiful! I think it's fun when we walk down the stairs to the backyard and have butterflies flying all around you and even sometimes landing on you! This is beautiful! I told myself last year that I would get one of these but have not spotted any at the garden center. After seeing your photo, I'm now on a mission to get one! Gorgeous pics! I love the purple against that gorgeous greenish-yellow background! Really pretty! every time i visit i grow more in awe of your photographic skills! Beautiful flowers. I can't wait to see the butterflies you'll capture. We have butterfly bushes too -- although not as far along as yours. When I started taking photos of flowers & got some close-ups (other years), I realized that those little individual buds are like an old-fashioned square nail. Amazing what your camera can show you in a close-up that you don't pay attention to w/ the naked eye. Your photos are beautiful Deb! Oh how absolutely beautiful Deb- the colors just grab me. Fabulous color in that second shot! Just love it!! I need to get outside and see if my butterfly bush is showing it's color yet. love the background color on these! really beautiful! So pretty! The green background really makes that purple pop! I can't wait for the butterflies to come so I can see what you capture then. butterflies don't like the least bit of cool weather! Very pretty! I have been wanting to plant one of those myself. Gorgeous shots! My little girl killed my butterfly bush ;(. She loves to dig up plants I cried HAHA! That is a very pretty plant. You captures it brilliantly. So glad I'm not the only one stalking their purple plants! Love these, the coloring is fantastic. Love that soft green. I'm new to your linky party and am glad that I found you. Thanks for hosting. Your butterfly bush shots are amazing!!! I've never heard of a butterfly bush. But I'd love something to attract butterflies. There was one sitting on our back porch yesterday and Andrew said "Mom, you need to come take a picture!" He knows I'm a little snap happy - ha! These are just beautiful as always! Just stopping by to say that I think this is my favourite meme of the week. 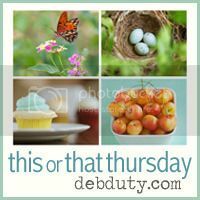 I love the variety of different images and blogs that join on. There is always so many different links to choose from. Beautiful! Hope the butterflies arrive soon! 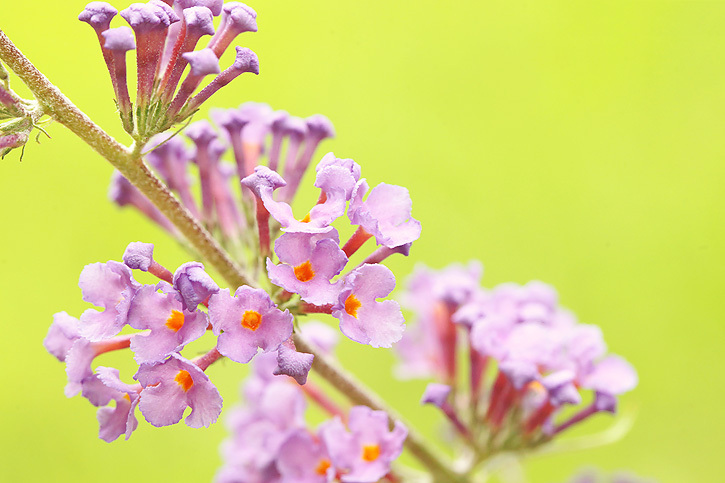 Love these shots of your butterfly bush! Gorgeous flowers,love the colors..Happy Friday! Getting back into the swing of things! Glad to link up again! I love the color and feel of your shots! WOW, I just love your flower pics! Wonderful work! I hope the butterflies come soon : ) Absolutely beautiful! That is SO gorgeous, really beautiful.